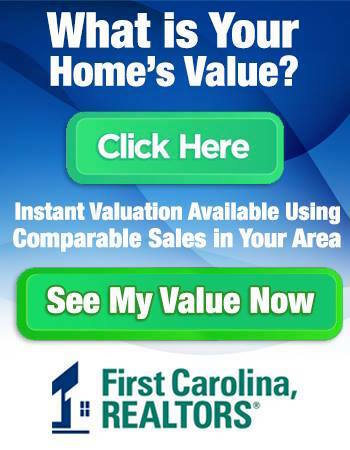 We are Swansboro, in fact www.swansboro links you to First Carolina, REALTORS®. Swansboro is part of the Crystal Coast area and its closest neighbors are Cedar Point, Cape Carteret, Emerald Isle and Salter Path. When one thinks of Swansboro, one thinks of beautiful homes, world-class ICW Intracoastal Waterway, outdoor recreation, street exhibits, fine dining, and shopping that is simply unrivaled. In other words, Swansboro is one of the finest communities on the Crystal Coast, providing a family-friendly atmosphere, rich culture, history, and recreation. If Swansboro sounds like a little slice of heaven on earth and you would like to learn more about the real estate market here, please feel free to call us at 252-447-7900 Any of our professional brokers at First Carolina, REALTORS® would be happy to assist you with your real estate needs. We can show you some of our current rentals if you are interested in a vacation home for the summer months. If you are ready to purchase a home in Swansboro, we would like to help you find the ideal home to match your individual needs and preferences. We can send you some properties that match your criteria via email if you do not live in the immediate area. Perhaps you would prefer to schedule a visit in the near future, as this is truly the best way to become acquainted with the homes for sale in Swansboro. Swansboro is actually located just over the Onslow County, NC border. In 2007, it had a population of approximately 1500. 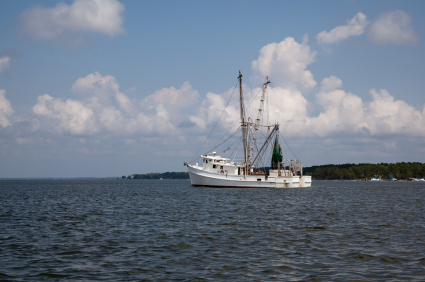 Swansboro is located in NC’s inner banks region, which is a term used to describe the inland coastal region of eastern NC. And distinguishes that area from the Outer Banks area. The town of Swansboro is governed by a board of Commissioners and a Mayor. There are four schools located here, two elementary schools and a middle school and a high school. 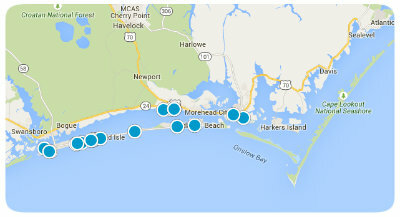 A word of caution, Swansboro is the breaking point for the 910 area code from 252. Always ask for the area code in this area! Swansboro has a cute and unique waterfront with lots of shopping and dining on the waterfront as well as on all the side streets. This is a walker friendly town. There are several places on the waterfront that you can be outside and enjoy a meal or a drink and enjoy the scenery of the boats, fishermen and the birds and dolphins. The boating in this area consists of large fishing vessels and pleasure boating. The water here is very easy to navigate and it is a very nice ride by car or boat to see the other areas of the coast. There are many old, beautiful homes in this area. You will not tire of all there is to see here. With so many places to shop and dine and with all the conveniences of a larger town, this small, unique little town might be exactly what you are looking for. You can be anywhere to shop, dine, boat or run your errands within minutes. Let one of our agents show you all that this area has to offer. You will be pleasantly surprised at all you see and experience.